Dealing with an influx of emotion during a divorce is a hard, but unavoidable, part of the process. For some couples, this emotion can manifest itself in contentious disputes that extend the length and complexity of the divorce process. However, certain circumstances justify a spouse’s resistance to fight the demands of the other party. One way to avoid this situation is by negotiating settlement agreements in advance of petitioning for divorce. Couples choose this option for a variety of reasons, but at the very least, these agreements usually make the legal proceedings more efficient and less costly. A settlement agreement may be particularly attractive if it appears the parties have agreed on all the essential issues. In this situation, it can be tempting to sign on the dotted line without consulting a divorce attorney. However, committing to this binding agreement before being advised of one’s legal rights and options can have disastrous and irreversible consequences if it later emerges the settlement was unfair. Every divorce settlement agreement should include certain terms to ensure that all important issues are covered, and neither spouse is unfairly disadvantaged. An overview of these basic terms, and why they are important, will follow below. First and foremost, any couple that shares children needs to negotiate some type of arrangement for custody and decision-making responsibilities. Florida favors shared custody, which translates to splitting parenting time 50/50, but practically speaking, one parent usually takes over the bulk of childcare. Courts review all provisions related to custody to verify they are in the best interests of the child, so it is possible a judge could require modifications of certain terms that the court believes conflicts with the child’s welfare. Custody terms often appear in a separate agreement due to the complexities involved, but are sometimes included in a general divorce settlement agreement, especially if it impacts property division. Next to children, property division is often the hardest area to negotiate. The two assets that figure most prominently in divorce is the family home and the family car. Deciding what to do with the marital home and the family car can be challenging, but deciding the distribution of these assets usually comes down to simple economics. Can one party afford to pay for the upkeep of the marital home on his/her own? Alternatively, can the other party afford to contribute to keeping the home if financial assistance is necessary? However, this situation becomes even more complicated if the couple is living in a rented home. Getting out of the lease early may not be possible, so employing some short-term flexibility on this issue by both parties may be necessary. The same analysis applies to the family car. Who gets responsibility for the family pet can also be a tricky issue, but if there is any chance of conflict, it is best to directly address the matter. Florida law treats pets as personal property, and courts do not have the authority to create custody or visitation provisions for pets in divorce proceedings. Thus, both spouses need to decide if one party will keep the pet most of the time, if the other spouse will get time with the animal, and who will be responsible for vet bills. Alimony and child support are terms that commonly appear in divorce settlement agreements, but are handled separately because the factors that affect the amount and length of these obligations differ. Child support is a mandatory obligation that all parents must fulfill, and Florida has a standard formula for determining the appropriate amount. Alimony is not required, unless a prenuptial agreement applies, and standards for ascertaining whether spousal support is appropriate will vary by case. Finally, the settlement agreement should include a procedure for making changes in the future. Addressing how the agreement can be modified early on will make it easier when circumstances arise, and reduces the chance of needing a court to intervene. 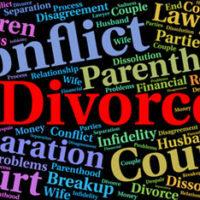 Divorce requires you to deal with multiple issues simultaneously that would be difficult enough to handle individually. An experienced divorce attorney can help you organize these issues into manageable parts, and guide you through the legal process so you and your family have your interests protected. 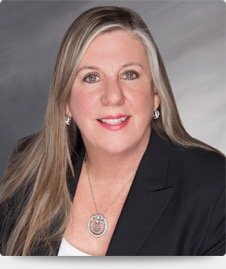 The Fort Lauderdale law office of Joyce A. Julian, P.A. handles all aspects of divorce, and will work to get you the best possible outcome. Contact the office for a free consultation.